Find out how your law firm's website stacks up. 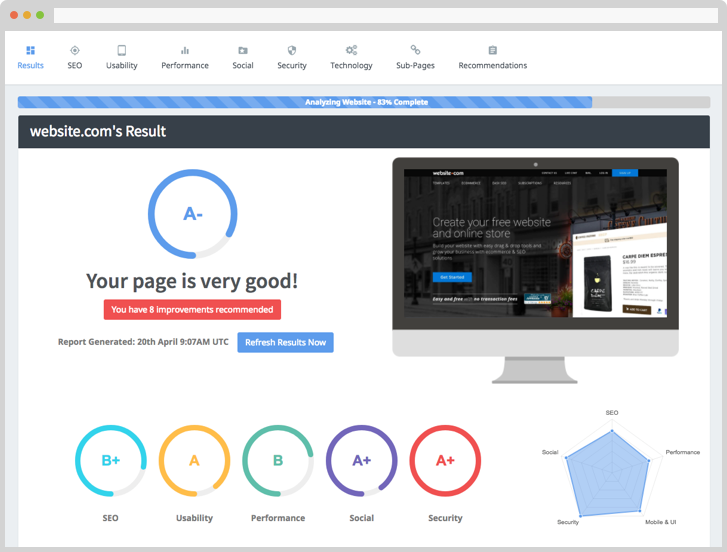 Our tool analyses your website, compares the results with modern best practice and provides a list of recommended improvements. Paste or Type in your URL & Email Address below to get started. Search Engines rely on many factors to rank a website. The art & science of optimising these factors in order to rank in search engines is known as "Search Engine Optimisation" or SEO. Our auditing tool reviews all key SEO factors and and more to help identify issues that could be holding your site back from it’s potential. In addition, it provides a clear, actionable, prioritised list of recommendations to help improve your website. What does our Website Audit Tool provide? Your site's 'page authority' - an important metric which indicates how Google views your site. A "Google Page Speed" figure - in today's world, speed is everything. A List of your top 10 keywords. The presence of many technical aspects, such a sitempal.xml and robots.txt files. Checks to make sure all the relevant information and data is present to allow Google and web users to make sense of the site. The state of your Social Media presence. Best of all, this Audit is completely FREE, and you can download a non-branded PDF!